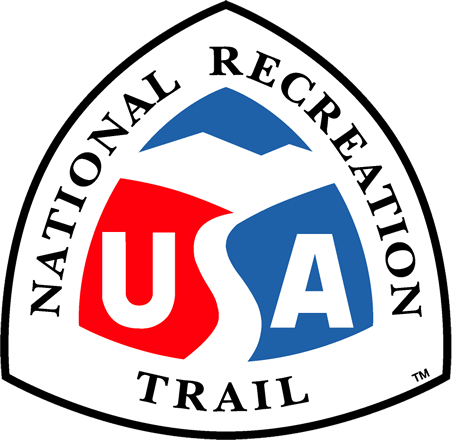 The Kanatak Trail is a route used for centuries to cross the coastal mountains of the Alaska Peninsula. This unique trail honors the resourceful people of the Peninsula, and provides an unusual recreational experience for today's wilderness visitor. The 5 mile trail climbs 1,000 feet over the Kanatak Pass between the Pacific Ocean and Becharof Lake. Views over the rugged, layered coastal range, tundra and beach wildflowers, and wildlife encounters shape the experience. The Kanatak Trail in Becharof National Wildlife Refuge captures a human story in a wild landscape. The route has been used for centuries as a relatively easy connection between the Pacific Ocean and the Bering Sea. Other trails existed on the Alaska Peninsula, but few so well known and easily accessible. This unique trail honors the resourceful people of the Peninsula, and provides an unusual educational and recreational experience for today's visitor. Unlike trails near urban centers, the Kanatak Trail is in a remote and primitive natural setting. No road leads here. Hikers are unlikely to see other people on the trail. The challenges of access, weather, and terrain ensure a unique and wild experience. Floatplanes or boats can access the western end of the trail from the southern end of Becharof Lake's Island Arm. The route parallels Ruth River up to beautiful Ruth Lake in a glacially carved valley. The trail from there climbs relatively gradually to thousand foot Kanatak Pass. Views extend to volcanic Mount Peulik, and the Becharof Wilderness bordering Katmai National Park. Many changes in vegetation can be observed along the way, resulting in a diversity of wildflowers. Photographers are often rewarded in this land of constant change. Summit Lake in Kanatak Pass is a windswept locale. On the eastern side of the pass, a spur trail offers exceptional views from a cliff edge of the ocean and the rugged, layered Aleutian range. The main trail zigzags steeply down across scree slopes to reach the base of the cliff. From here, hikers may choose their own way across terrain covered in low brush and cut by small stream channels. A water crossing divides the trail from the cobbled beach. A series of shoreline terraces marks the location of former settlement. The village of Kanatak, currently uninhabited, has been swallowed by brush and rich meadows of waist-high grass and flowers. Archeological excavations have revealed periodic habitation at Kanatak dating back at least 1,900 years. Early Russian and American explorers used this route, reporting settlements at both ends of the trail and at Ruth Lake. Oil exploration in the early part of the twentieth century brought hundreds to Kanatak. Primitive unpaved roads to the exploration areas were built over part of the old walking route, and wagons and tractors crossed the mountains. Part of the road, maintained by the State of Alaska, was also used for mail delivery to the Bering Sea coast, by dogsled in winter. When the last residents of Kanatak left in the mid-1950s, the trail fell out of regular use. Wildlife viewing on the route can be excellent. Work crews in 2011 recorded sightings of brown bear, caribou, red fox, two types of ptarmigan, marmot, beaver, sea and land otter, harbor seal, and ground squirrel, and found sign of wolf and moose. Angling in Ruth River can yield grayling, Dolly Varden char, and salmon. Becharof NWR, despite centuries of human use and occupation, remains an intact ecosystem. As climate changes and brush grows more vigorously on the Alaska Peninsula, the trail was obscured by thickets of alder and willow. Clearing the Kanatak Trail for continued recreational use was proposed in 2010. Some of Kanatak Village's last former residents were still alive and able to assist. One former resident in particular, Paul Boskoffsky, has been instrumental in maintaining interest in the trail, bringing family and friends, researchers, and Refuge staff over the route. Refuge staff recognized an opportunity to preserve a unique cultural resource in Becharof NWR while having Paul's guidance; and applied for a Recreational Trails Program grant (administered by the Alaska Division of Parks and Outdoor Recreation). This grant, combined with USFWS Youth Initiative funds, permitted a Student Conservation Association (SCA) work crew to be funded for the project in the summer of 2011. At the request of the Alaska State Historic Preservation Office, an archaeologist was hired to ensure no damage was done to cultural features during the trail clearing project. Working with Paul Boskoffsky, Tom Prang relocated the trail on the western side of the mountains, flagging it with the assistance of Refuge staff and volunteers from Oklahoma, Oregon, and Idaho. The SCA group assisted Tom in recording surface cultural features and flagging remaining sections of trail. The SCA work crew cleared approximately 4 miles of trail (approximately 1 mile did not need clearing). They were careful not to disturb the ground or the identifying features of the route (berms, rock cairns, etc.). Simple signs will be installed at either end of the trail in 2012. The Refuge plans to maintain the Kanatak Trail as a primitive route, providing interpretation through its website and at the King Salmon multi-agency Visitor Center. Access, weather, wildlife, and terrain can be challenging; local guidance is strongly advised. Please call the USFWS office in King Salmon or the King Salmon Visitor Center for assistance before making plans. Archaeologist Tom Prang at Summit Lake. Hiking the western section of the Kanatak Trail.